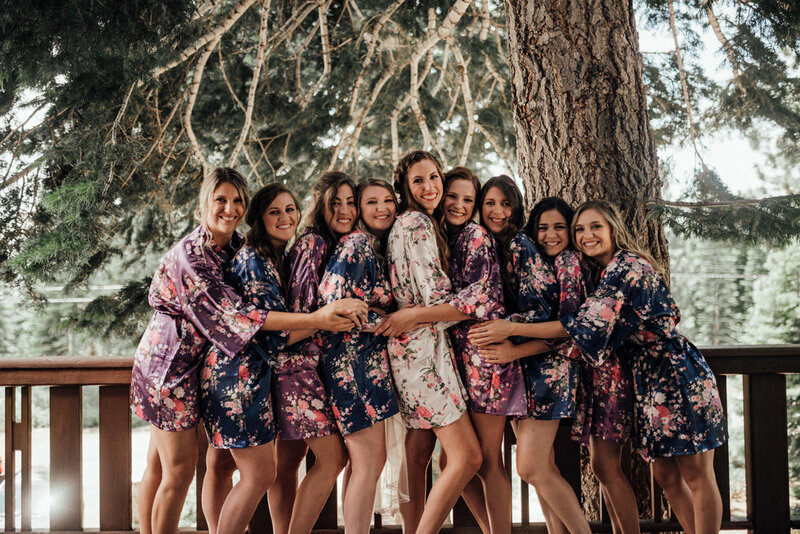 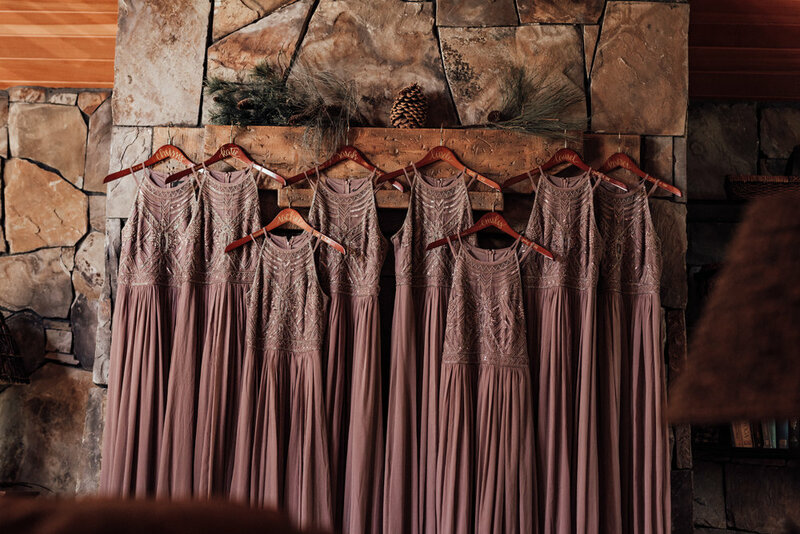 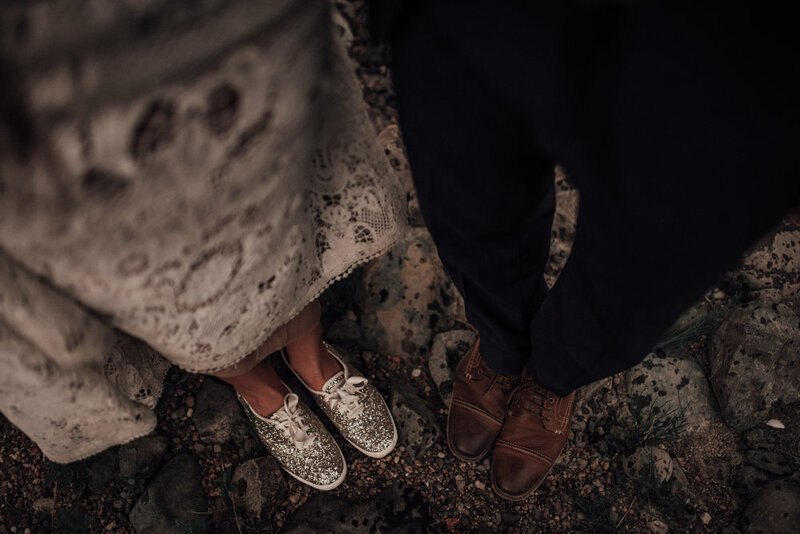 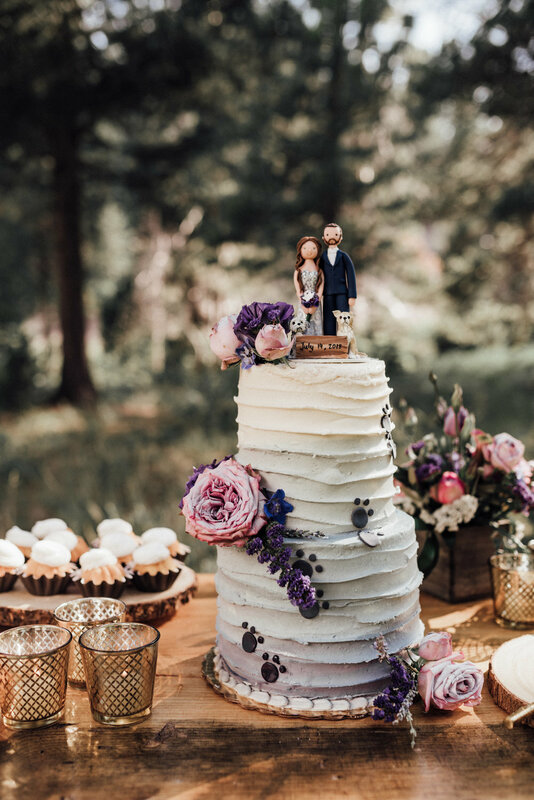 When we think “wedding in the woods” — well, this is basically what we imagine! 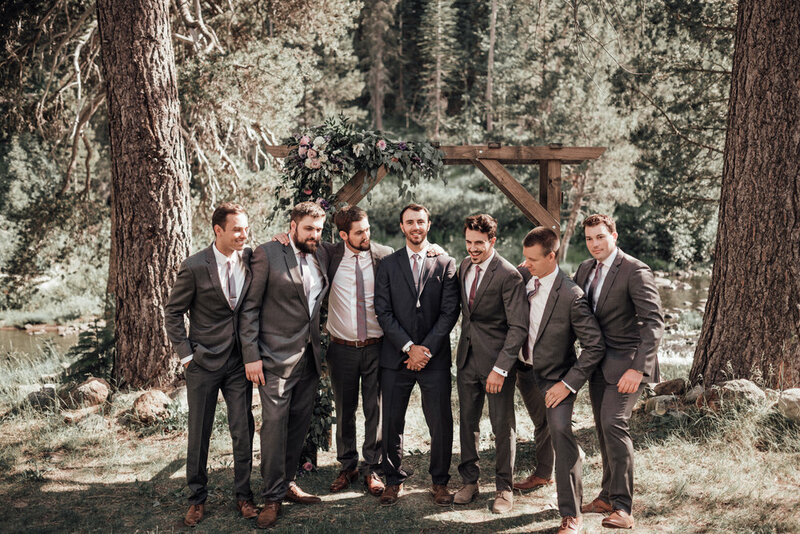 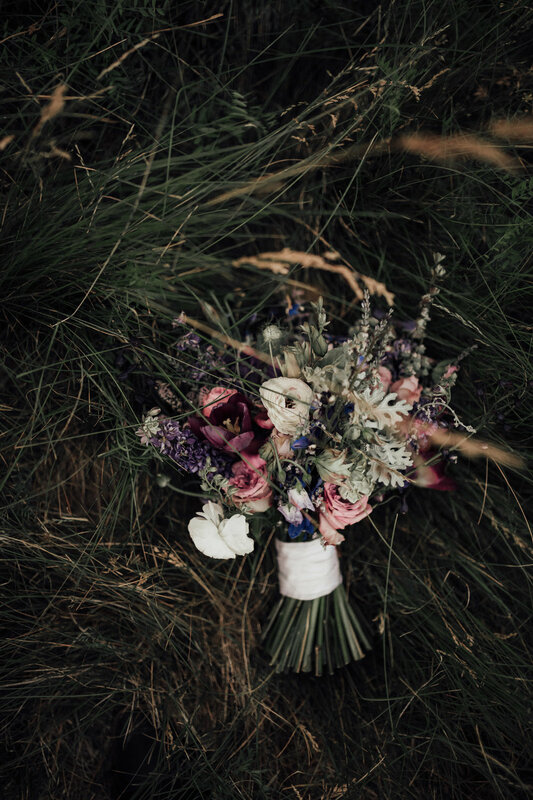 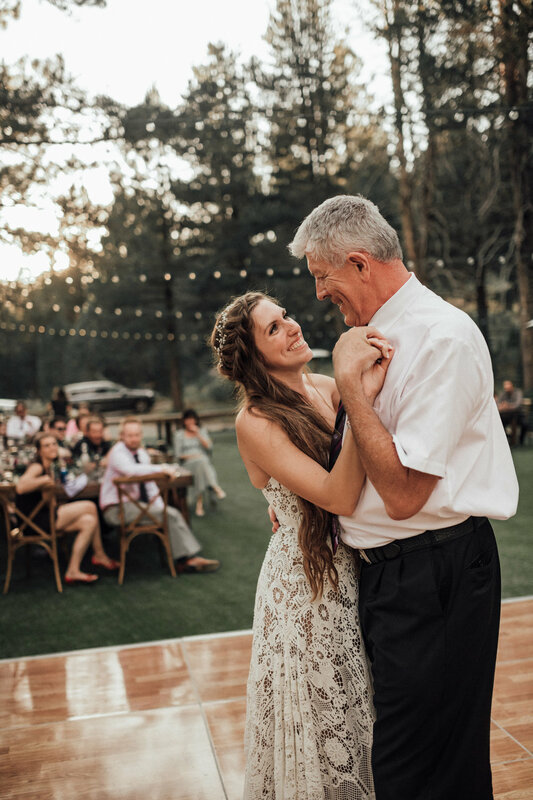 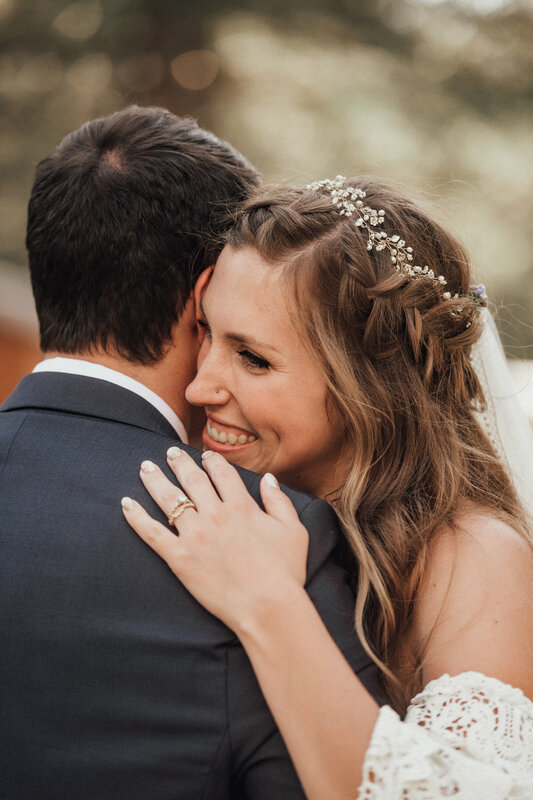 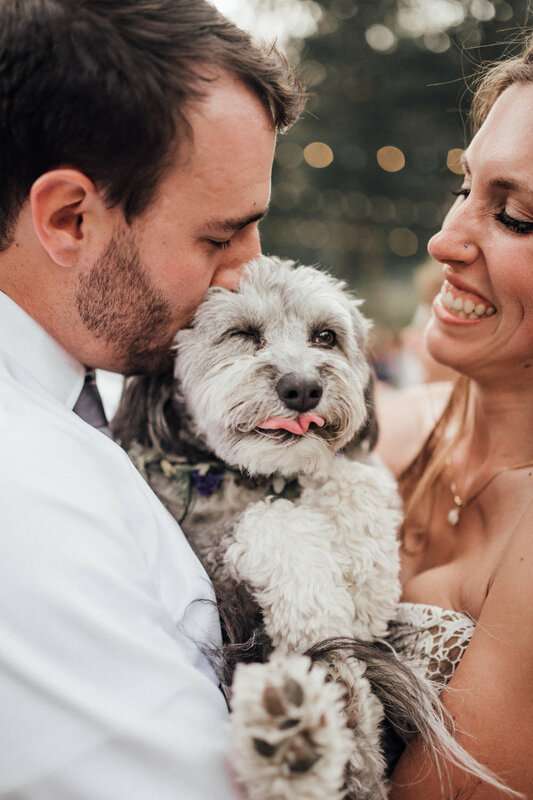 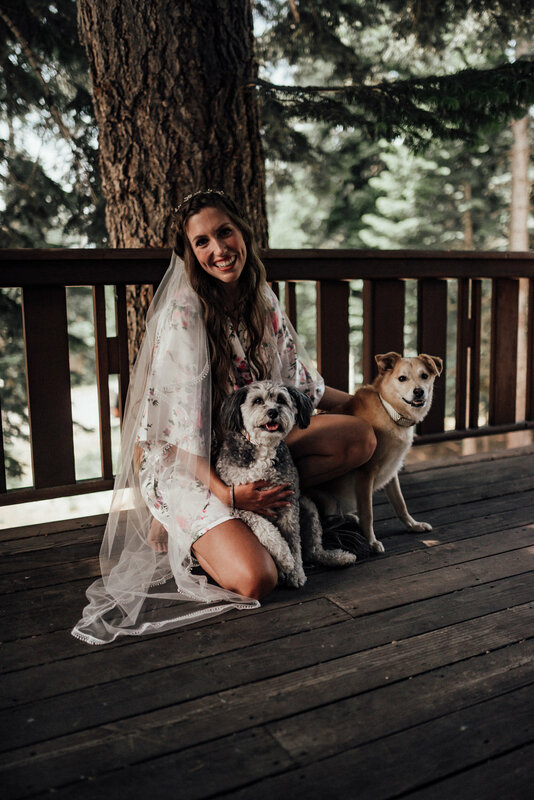 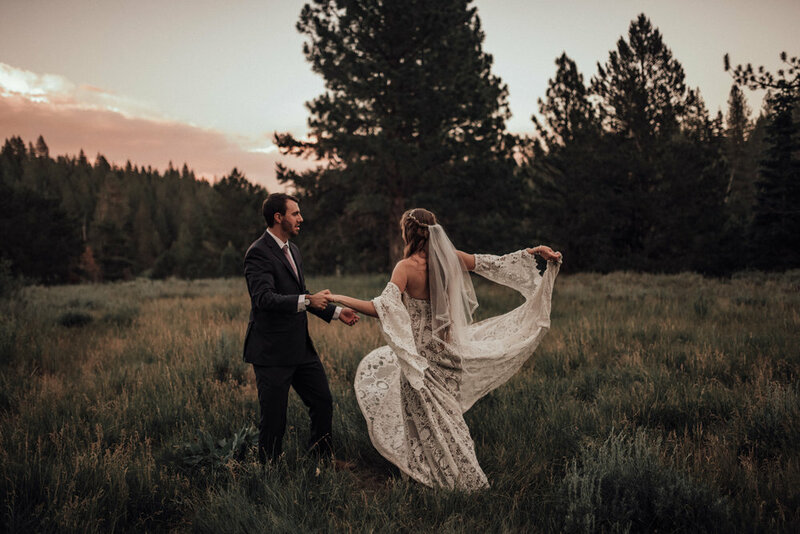 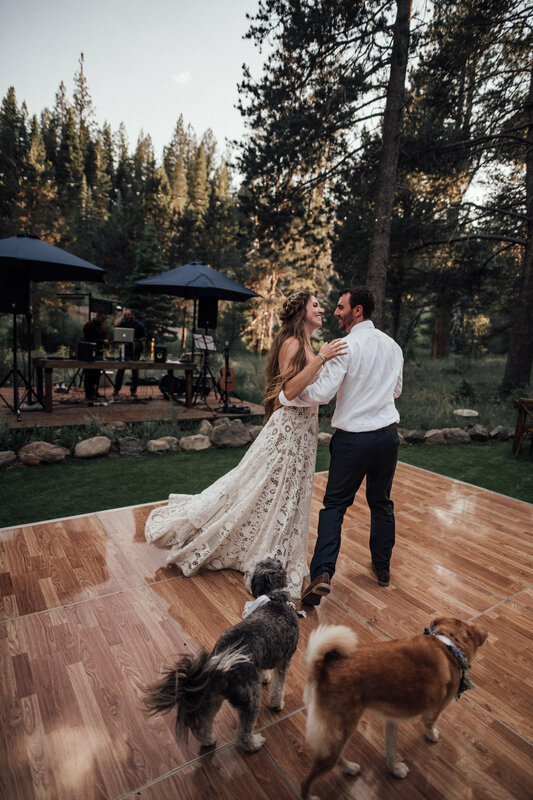 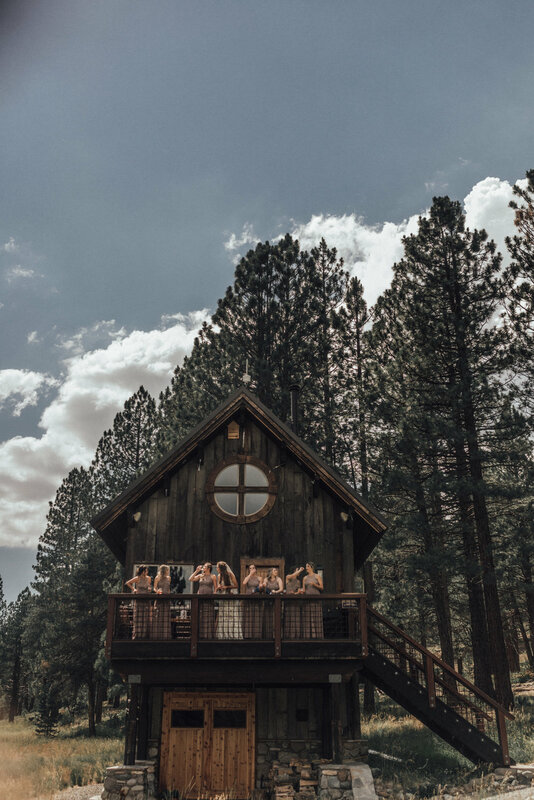 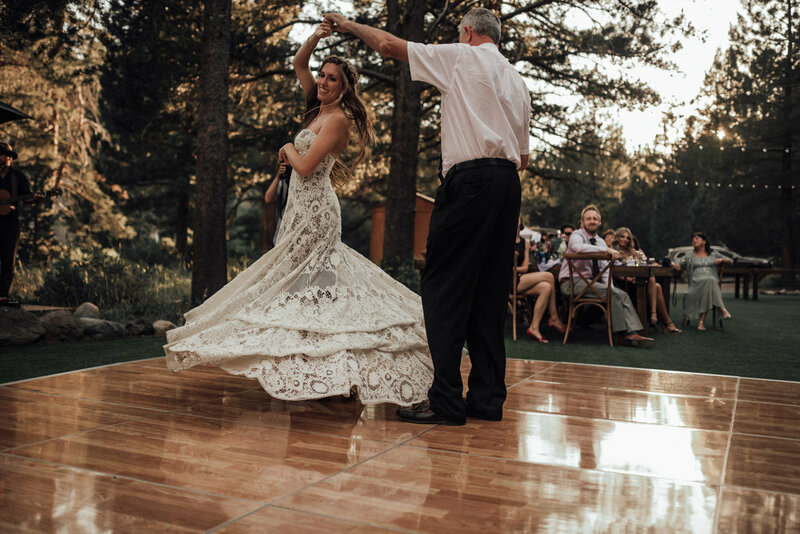 From the giant pines to the grassy field; a dance floor paired with strings and strings of lights; all the way to a river and fluffy puppy dogs — Danielle’s wedding was totally unique and totally perfect. 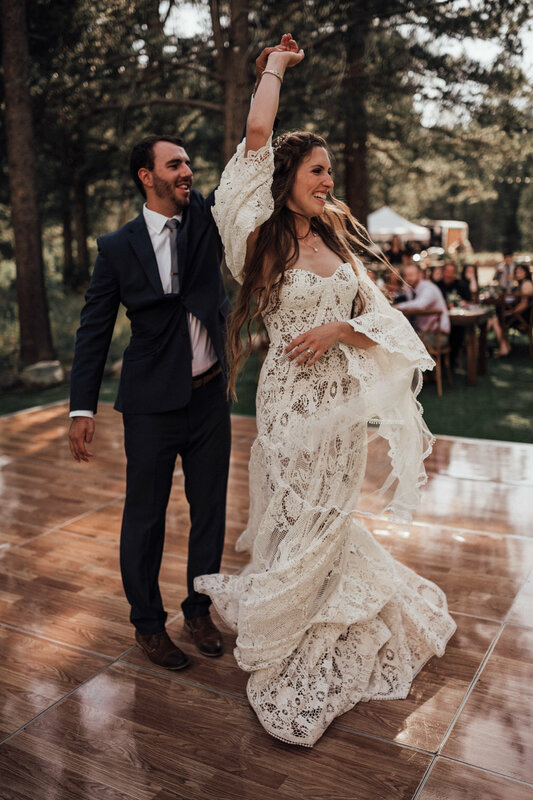 She wore Beau by Rue De Seine, paired with glittery sneakers and a veil + headpiece duo for the full grand slam effect!